Vice President Yemi Osinbajo on Tuesday broke silence on reports of President Muhammadu Buhari being dead and replaced as Jubril in Aso Rock. 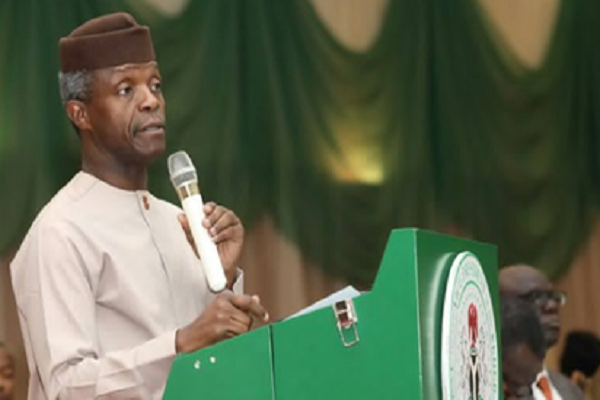 Osinbajo expressed shock at a National Consultative Forum organised by the National Committee of Buhari Support Groups (NCBSG) in collaboration with Council for New Nigeria Initiative, NAN reports. Osinbajo wondered how a certain Jibril from Sudan would be presiding over the Federal Executive Council (FEC) meeting. He commended the members of National Committee on Buhari Support Groups, saying that they were the vanguard of the battle for the soul of Nigeria.